Content is the king and fresh & high quality content is always going to rock. Having said that, do you believe that’s enough? How do you tell a search engine about the quality of your content? You are right if you are thinking about social signals. But online social crowd move from one impulse to another. So the half life of content is not very long on social sites. In fact, everything doesn’t go viral. So expecting things to take a roll automatically, is again expecting too much. 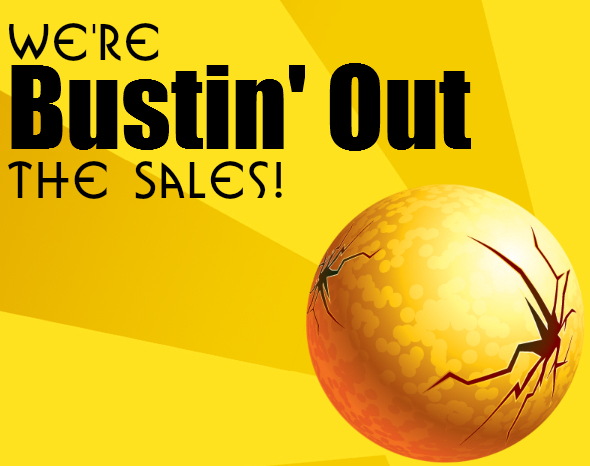 And content is “not the only” challenge haunting bloggers, webmasters and business owners. SEO tend to top the list of the biggest challenge and why not? SEO brings free traffic and traffic is money. So as you can see, it was much easier to do it because search engines like Google were only looking at keywords, high density of keywords and high number of backlinks. If you have got that then you are the king. Single page site with exact match domain name were toping the search results for highly competitive keywords. Now things have changes, in fact drastically changed. SEO has evolved and Google is capable of identifying high quality and low quality content and links. So link spam, EMDs or content stuffed with keywords doesn’t work anymore. We are in an era of content marketing on a High. High quality and informative content which is detailed in nature is good. Shorter posts which tend to cut short the message are not good. Detailed posts with more than 500 words and up to 2000 words are considered better. But don’t be repetitive. Provide motivation and incentive to share it. Focus on problem-solution ideology while crafting your content. Do proper keyword research before writing anything. You will be wasting your time and efforts if you write about something which doesn’t excite your readers or they don’t find it informative simply because they were not looking for that kind of information. Target mid-long tail keywords to get better rankings in search engines. Target more than one keyword but less than four keywords in your posts. Make sure that keyword density is not too high. Optimum range for keyword density is 1-5 % but trying to keep it under 4%. Use keywords synonyms or related words to create a context in your posts. For example, if you are writing a post about cars then talk about related topics like “cheap car insurance”, “car maintenance” etc. Link to your existing posts on your blog for better link structure. It may not provide a great link juice but that’s how you inform Google about existing articles on your blog. Content should be crafted for human and designed for search engines. Last point about designing content for search engines bring us to SEO or search engine optimization. Now you will see how it can be designed in a way which improves content’s ranking on search engines. Content marketing is the easiest and best way to do SEO. You just have to focus on the content while you are creating it and gradually you can build over it to optimize your blog or site for search engines like Google, Yahoo and Bing. If you have been tracking Google, then you might be aware that we are living in the era of Google knowledge graph and semantic search. To sum them up, google has got a data of billions of objects and information about people, events etc which they use to humanize search to deliver better search results. So when you run a query related to a Hollywood movie or a personality, they are able to figure out the context of it and get you better results. 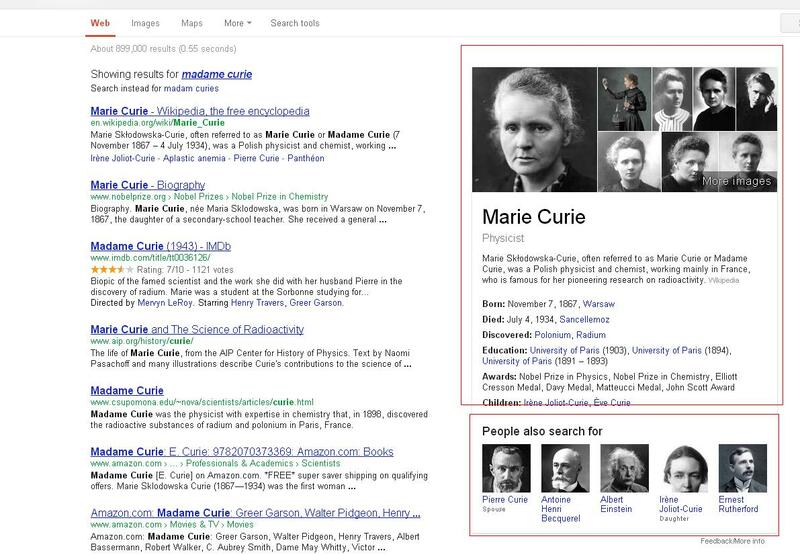 Take a look at this image, it shows results for “”Madam Currie”, the great polish physicist and chemist. I misspelled madame which it suggested in the results. It is an old functionality but when you look at the right hand side of the screen, you find images, details about individual like description of her work, important dates and achievements etc. At the bottom of that box, it also shows you results of related people Pierre curie, Albert Einstein. This is a classic example of Google knowledge graph and semantic search. Google is able to identify the context and provide search results which are more relevant to the query along with relation terms, personalities etc. I have used this example to highlight the importance of content. If you can highlight your content and make it more relevant then you can rock the search engine world. You need to make it more relevant. For example, if you are a small business then you should use Google map to verify your location and add it to your/business profile so that when people from that area do a search, Google deliver you/your business as it will consider that as relevant due to localization (information of location is coming from Google map). Structured data helps Google and other search engines to understand the nature of your data and create rich snippets. These rich snippets are used to deliver your data in search results in a much organized manner. Data highlighter is helpful in case your site list events. By using tags, you can provide better information about these events to Google. Under both conditions, Google will love your content because it considers your content as organized and of high quality. As a result of that, you will get better rankings on Google. You are lucky if you are using wordpress because then you can easily fix it by using premium plugin like SEOPressor. 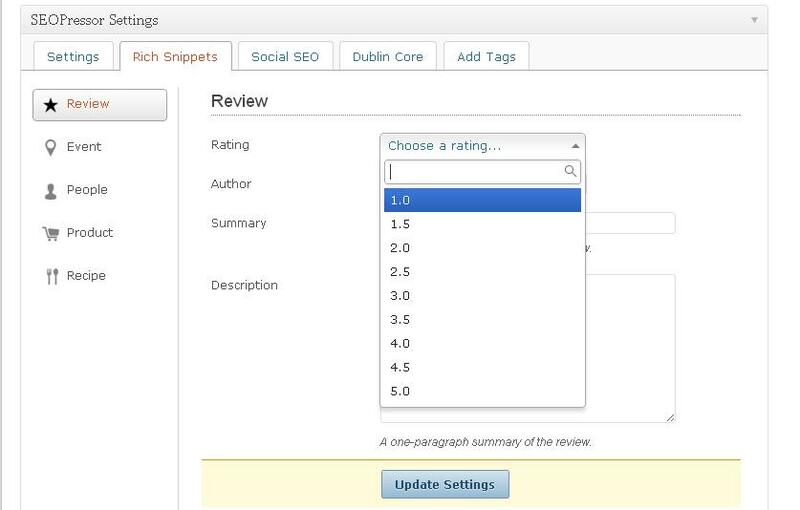 If you are already using that then make sure to fill data in rich snippet section in it. Above mentioned details are extremely important for any kind of content marketing campaign, blog or site to rank higher on Google. But that’s not enough; you need to look after few other details also. These details are also imperative to do SEO with content marketing. Create detailed content with 500 to 2000 words in mind. Make sure that your content is indexed by search engines and they are not restricted by your robots.txt file. You have a proper sitemap.xml. Google+ authorship is verified and working. You can verify that in Google webmaster tool. You should use SEOPressor or some other tool to manage structured data for your blog or site. You should verify that in Google webmaster tool. Be consistent in your approach whether it’s business or blog site. You should use images with alt tags in your posts. They should be optimized for size also to avoid any negative impact on page load speed. You can use free plugins like Smush.it to do that. You should use a well coded theme. For wordpress users, you can use premium wordpress themes to avoid any coding issues which include sub-standard html tags and slow page load speed. Page speed is a very important criterion in search engine rankings. Integrate Facebook Opengraph and Twitter card in order to boost your social SEO. Follow standard on page optimization techniques. Idea is to create a content which is not only pleasing for your readers but also, easy to read and understandable for search engines. Without making sure that search engines are able to index and rank your content well, you cannot expect a good rank on them. Primary objective of structured data, on page optimization, social seo, internal linking and off page optimization is to help Google in reading your content. When your data appears as organized, it gets better ranking and if it doesn’t appear organized, then irrespective of the quality of your content for you readers, you will never get a high ranking on them. Thus, focus on optimizing your content for search engines. Remember, more traffic mean more Money. If you have any question, please leave your comments. And yes, if you liked it, don’t forget to share it on social sites like Facebook, Twitter and Google+. This is very helpful for me as I’m learning the ropes of Digital Marketing. Thank you very much. Content marketing is still a strong foundation of gaining links. I guess, the best way we can benefit from it is to follow search engine guidelines (avoid duplicate content, clocking and keyword stuffing) to give the best relevant information that our readers will enjoy. A very interesting and informative share. Content marketing forms a major part of the SEO process. Simply writing good content is not important, where and how you promote it also holds importance. Thanks for sharing. my blog’s name is “workingof.com” and i think its an exact match domain. when i search in google for “workingof.com”. it gives ” showing workingolf instead of workingof.com”. Rohit i don’t think it’s EMD, it was released last year somewhere in september/october. keywords in your domains are very generic. Keywords like “Weightlossprogram” were the real target for EMD and also, just having keywords in your domain name doesn’t qualify you for EMD update. If you have highly targeted keywords in your domain name along with high number of spammy backlinks with high percentage of same anchor texts like “workingof” and poor on page seo which include high keyword density in title, meta description, then only a site qualify for EMD. Link to high quality sites in your blog posts. it could be some blog, search engine or social site but do it regulary. Linking to good sites is a good thing. Integrate Facebook Opengraph and Twitter card in your blog and improve your social media campaign. Diversify your backlinks. Never use same keyword in anchor text for too many times. Check Google Webmaster tool to see if your site is properly indexed and your robots.txt is not restricting anything which it should not. Install plugins to manage robots.txt and sitemap if you are not doing that already. Don’t worry it may take some time but you can regain your ranks. let me know if you need more info on anything. Can’t but agree with you, Akhilendra. Nowadays it’s not enough to have unique content and tons of links. You need to be able to promote your content and yourself. That’s why marketing and SEO are closely connected today. And after a couple of years of working on SEO only now I need to get into marketing as well. that is good think so if good content attract the user .title tag contains the good content which based on company.